AMES, Iowa — Iowa State wrestling head coach Kevin Dresser is continuing to build in Ames and today he made another addition to his staff. He announced that Willie Miklus will be joining the Cyclone wrestling staff as a graduate assistant. Miklus will be an extension of the staff, working with the team and assisting in the operations of running the program. He will also continue to train for senior level competition through the Cyclone Regional Training Center. Miklus was an added piece of maturity and experience in a 2018-19 Cyclone lineup that was otherwise very youthful. 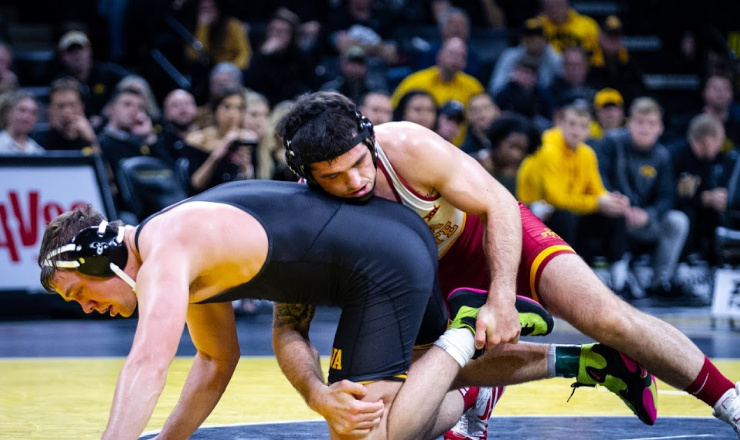 He holds a number of collegiate accolades, which he most recently added to by becoming a four-time All American with a sixth-place finish at the 2019 NCAA Championships. He accumulated his 100th career victory and his 50th career dual victory during his senior campaign wrestling for the Cyclones.